Nothing is cozier for big and little feet than a wool rug or some wool socks on a chilly day. Wool is a natural fiber that has great wicking qualities to pull moisture away from skin. Wool fibers are "bouncy" and provide resilient padding to feet. And since wool is a tough, long-lasting fiber, your socks will be cozy for many, many years. Wool yarns come from the fleece of sheep; cashmere and mohair are derived from goats. The hair is spun into yarns and if left untreated, these are called virgin yarns. Each hair is made up of scales. When the hairs are exposed to high heat either during washing or drying, the scales bind together. This binding is what causes shrinkage, which is often permanent. Superwash wool yarns have been treated to create shrink-resistant fabrics. The wool fibers or yarns are exposed to a mild chlorine solution for a very short time followed by rinsing, application of a polymer resin and drying. The chlorine exposure removes the protective outer layer from the wool fiber and smooths the scales. The polymer resin further smooths the fibers and significantly reduces shrinkage or felting caused by the interlocking of the wool’s scales. The performance standard of superwash wool was established in the 1960s and wool receives the label if it can be machine washed in warm water and tumbled dry on a low setting. It is important to note that all wool fibers are washable and are often labeled as such. However, washable wool does not mean the same as superwash. Superwash is a patented process that assures the fabric can be machine washed and dried following specific instructions. If your socks have been knit from treated superwash wool yarns, they can be machine washed using warm water and a regular laundry detergent and then tumble dried at a low heat. Do not use a hot water wash cycle or excessive high heat in the dryer because it can damage the protective resin coating. Once the protective coating is damaged, the fibers can and will felt together causing shrinkage. Hand washing is the best choice for socks made from virgin wool. Follow the guidelines for proper hand washing and use a commercial or homemade wool wash soap. After rinsing well, the socks should be air dried flat away from direct heat sources to help them retain their shape. If you chose to machine wash the virgin wool socks, use the gentle cycle, cold water, and wool wash soap. Use the slowest spin cycle possible and again, allow the socks to air dry and never put in a hot automatic dryer. Never use chlorine bleach on wool socks. In excessive levels, chlorine bleach will stiffen and weaken fibers. If there is excessive staining or yellowing of white socks that needs to be treated, use an oxygen-based bleach as a presoak. Mix a solution of oxygen-based bleach (OxiClean, Clorox 2, Country Save Bleach or Purex 2 Color Safe Bleach are brand names) and cool water. Follow the package directions as to how much product per gallon of water. Completely submerge the socks and allow them to soak for no more than one hour. Check the stain. Rinse well. 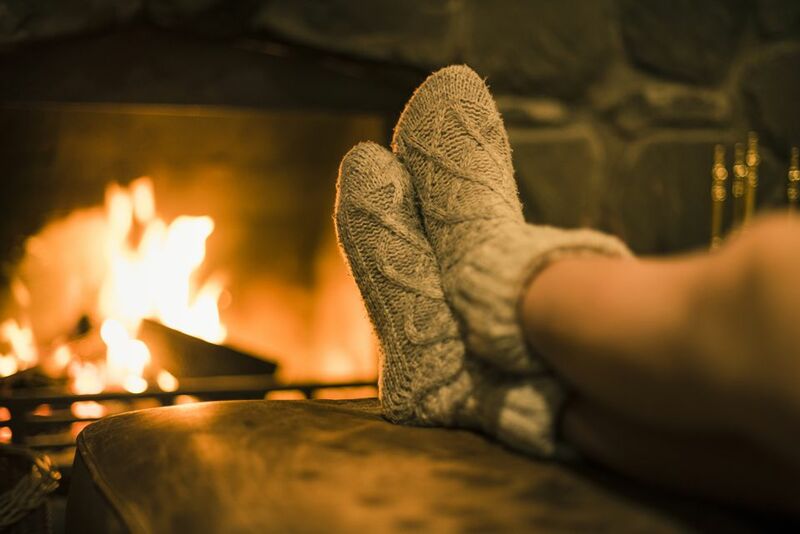 While wool has natural anti-bacterial qualities, you may need to add a disinfecting step while washing wool socks if you have severe athlete's foot fungus. This can be done by using a pine oil disinfectant, which is effective in warm water. Brands include Pine Sol or Lysol Pine Action. It should be added at the beginning of the wash cycle. To be effective, the product must contain 80 percent pine oil. You can also use a phenolic disinfectant in a warm water wash. Lysol brand disinfectant is available in most areas. Phenolic disinfectants may be added to the wash or rinse water, if the rinse water is warm. If you do shrink the socks, there may be hope. Follow our tips on how to reshape and, perhaps, save shrunken woolen items.